Testliner/Kraft liner paper board stock preparation and approach flow system design influences both the cost and quality of end products produced on the paper machine. Leizhan supply the whole range of paper equipments and services from single-application processes to complete stock preparation and paper machine approach systems. Leizhan advanced technologies in pulping, cleaning, screening, refining, and mixing can be customized to specific raw material, end product grade requirements and mill conditions. 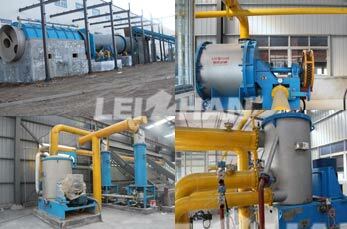 Leizhan solutions for Testliner/kraft liner board stock preparation includes: Pulping( drum pulper, D type hydrapulper, etc. ), Cleaning(high densiyt cleaner and low density cleaner), Screening(mid consistency pressure screen, inflow pressure screen, vibrating screen, etc. ), Refining and deflaking( double disc refiner, claflin refiner, etc. ), Separating(single effect fiber separator, single fiber separator, etc. ), and so on.